Huge, busy clothing stores can easily turn into a nightmare. In addition to the tangled hangers and long lines, you’re dodging someone every second, you can’t decide between two dresses you’ve salvaged and your best friend isn’t responding to any of your texts. 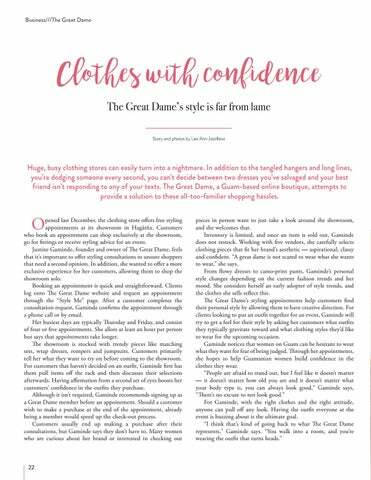 The Great Dame, a Guam-based online boutique, attempts to provide a solution to these all-too-familiar shopping hassles.